What if I already have a great readers workshop happening in my classroom? Should I add a whole- class novel? Ok, this one has a nice short answer: No. Over the last few weeks I have heard this question bubbling up in person and on social media. 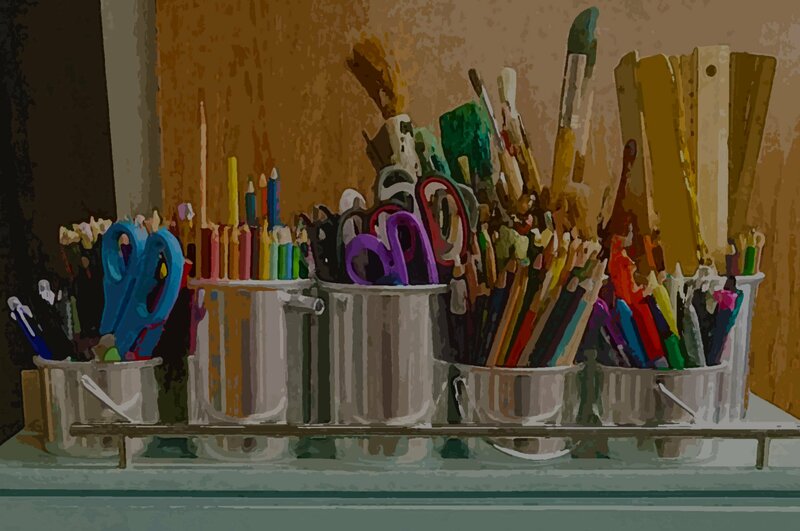 Teachers who are devoted to reader’s workshop – to fostering independent reading lives, to skills based instruction, to differentiating based on individual needs – wondering if maybe now they should change what they are doing. I wouldn't. Now of course there is good debate about this but for me, a great readers workshop is like heaven on earth. When I have my kids choosing books they want to read, reading them independently, working on skills and strategies I’ve offered up to the whole class and in conferences, I am very happy indeed. In fact, there is a misconception that traditional readers workshop doesn’t have whole class texts when in fact they do – it’s the text read aloud. I can usually do most of the work that would live in a whole class novel unit during my read aloud time, and in some ways this will be better because we are truly in the text together all of the time – I am not asking my kids to read the text on their own. You are a. 5th or 8th grade teacher. If your students will be entering a school next year where they will be asked to read whole class novels, then it might make sense for you to help your kids get comfortable with that way of teaching before they leave you. It doesn't make much sense to teach kids to always and only choose books they love and then, cold turkey, tell them to spend weeks in a book they haven’t chosen, struggle to read, and might not like. Be a bridge for your students and give them the support they need to be successful when reading a whole class novel. You don't have (enough) read aloud time. While choice and independence are essential to building true readers, it is also true that being in a class text is transformative and just as important. Kids need to be in books with you, with each other, with the grade. However, in many schools there isn't really enough time set aside for enough read aloud to read a whole book together. In many middle and high school classrooms, for example, teachers only have 45-50 minutes a day for reading and writing. You don't really have time to read aloud a whole novel with that breakdown unless you literally do nothing else. Even if I have 50 minutes a day for reading only, that doesn't give me tons of time to tech a lesson, let the kids read and come together for a wrap up. Many teachers choose to use short texts or excerpts to solve this time problem. And yet being in a novel together is different that being in short texts. Short stories and excerpts are great, but they are not the same as being in a whole novel as a class. If I don't have time to read aloud books alongside of students’ independent reading I might consider layering in some short whole class novel units along the way. Your readers workshop feels too loose. In my first few years of teaching I had what looked like a good readers workshop. Kids were holding books they had chosen from my classroom library. I taught mini-lessons on strategies that might help them become stronger readers. I worked with students one-on-one in conferences. But if you looked under the surface those first few years you would see that lots of my kids were not really reading their independent books and when they did they were not really practicing any of the strategies they got from either my mini-lessons or my conferences. My readers workshop was not really working yet. In these instances what is most needed is help to make the workshop time more purposeful and accountable, but at the same time it might help the class come together around a common text, practicing a skill together and then transferring that work to their independent reading. So, if you are looking around your room right now, and your kids are invested in books, practicing skills and habits that you have taught, and you are reading aloud a book they love, keep on keeping on! But if the caveats I offer apply to you, you might consider trying a whole class text. As in any change we make in our classrooms, this work is best done with an inquiry mindset – what is this work helping my students do, and what is it taking away. Good Luck! 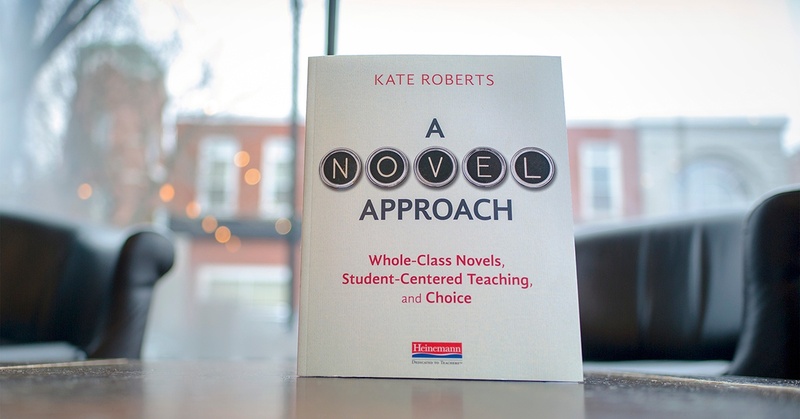 Want to learn more about Kate's approach to Whole-Class novels? KATE ROBERTS is a national literacy consultant, author, and popular keynote speaker. She taught reading and writing in Brooklyn, NY and worked as a literacy coach before joining the Teachers College Reading and Writing Project in 2005, where she worked as a Lead Staff Developer for 11 years. Kate is the co-author (with Christopher Lehman) of the popular Falling in Love with Close Reading, and of DIY Literacy (with Maggie Beattie Roberts), along with two Heinemann Unit of Study books on Literary Essay. Her work with students across the country has led to her belief that all kids can be insightful, academic thinkers when the work is demystified, broken down and made engaging. To this end, Kate has worked nationally and internationally to help teachers, schools, and districts develop and implement strong teaching practices and curriculum. Her blog, indent, is a touchstone for teachers and she uses social media, particularly Twitter (@teachkate), to help build community and solve problems among her educator peers.